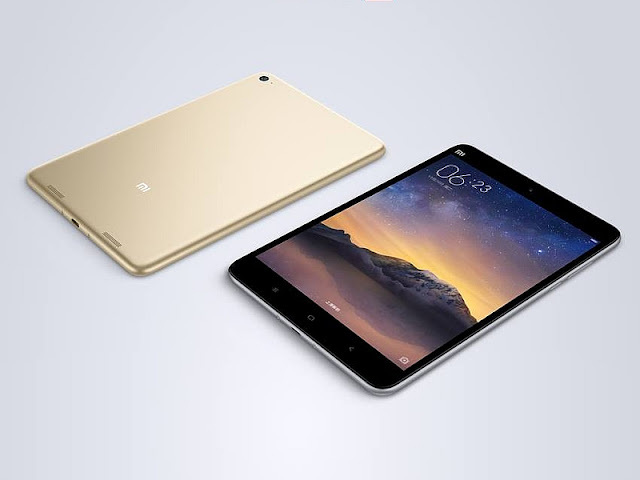 Xiaomi releases the Mi Pad 2 with metallic build, USB Type C and Intel Atom processor. Xiaomi Mi Pad 2 is now official. The Chinese company is gunning to grab a considerable amount from the iPad mini market share. This second iteration of the popular Android slate now comes with a metal-clad design and a thinner form factor. In fact, it's now 6.95-millimeter. It's way slimmer compared to last year's 8.5-millimeter depth. For the sake of comparison, Apple's iPad mini 4 is only 6.1-millimeter thick. Another bump from the latest slate is the Intel Atom X5 Z8500 processor which is technically made from 14nm process. The original Mi Pad, on the other hand, packs an NVIDIA Tegra K1 chip. The Intel SoC is coupled by a 2GB of RAM which obviously pulls up apps faster and helps achieve smoother multitasking operations. Other noteworthy features include the USB 3.1 Type C which shaping up to be a gold standard in mobile connectors nowadays. There's also the newer version WLAN 802.11 AC for faster WiFi connectivity. For the camera buffs, you'll be delighted with the 8MP/5MP rear-and-front combination. The former offers an LED flash with f/2.0 aperture; while the selfie shooter packs a wide-angle camera. Basically, the thinner tablet also comes with smaller battery capacity - 6190 mAh. It is believed to have a 648.8 hours of standby time. There's an Android 5.0-based version of the slate donned with dark grey and champagne gold hues. The 16GB model is priced at RMB 999 (Php 7358) and the 64GB version comes with RMB 1299 (Php 9567 as of this writing's ForEx) asking price. Plus, Xiaomi is also making a 64GB version of the slate which boots with a Windows 10 operating system.